Contact Rachel at Dog Rescue Newcastle to express your interest. Introducing Jake Gyllenpaw, or just Jake to his friends. 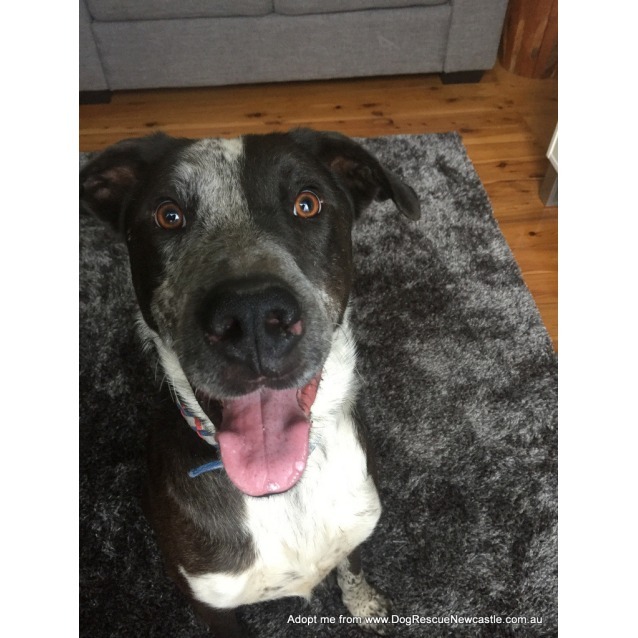 Jake is a very handsome, 2yo, male, Labrador x Cattle Dog. He is a quiet boy and rarely barks, even when left alone in the yard all day while we’re at work. Jake is a large dog, Labrador sized, and was rescued from a pound. As soon as he arrived at our home his personality emerged and he blossomed. He absolutely loves to go for long walks to stretch his big legs. Whilst his size may be intimidating for some, he plays extremely well with humans and dogs of all shapes and sizes. 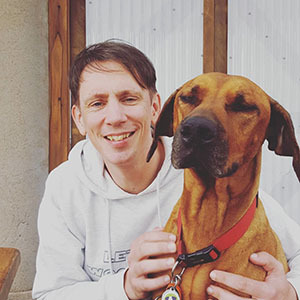 Jake truly is a gentle giant who is extremely loyal, loveable and intelligent. He already knows so many skills and commands such as sit, stay, down, shake, gentle and catch. He also is learning to walk on a halti collar in the heel position with no pulling. Jake is extremely calm being bathed in a dog wash at the pet store, which he likes much better than a cold hose down in the yard. Wouldn’t you? Whilst Jake enjoys long walks and an active lifestyle, he is also very content to be part of the family as you go about your daily business. 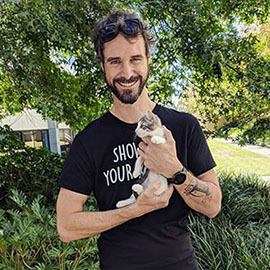 Jake would be love to have a good-sized yard or property to run around in but would be fine in an average yard so long as he had plenty of time with people, was allowed inside, and had a daily walk or jog. He’s a smart boy who would excel at dog sports such as agility or scent detection, etc if you were interested in those things. He would also suit a family with older kids or a single person with a lot of time for him. 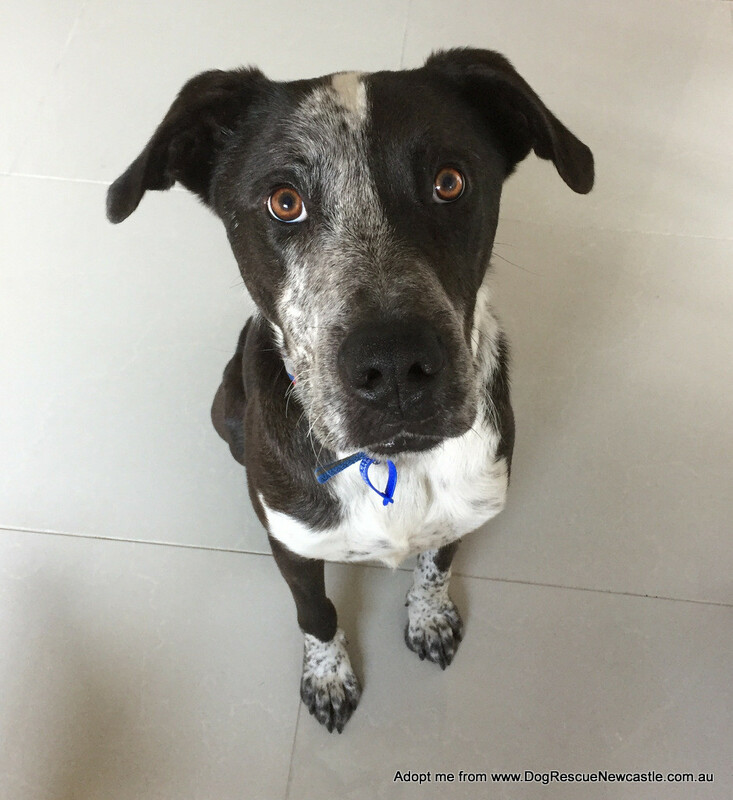 For more information or to meet Jake, please contact his foster mum Rachel by emailing rachel94@iprimus.com.au. 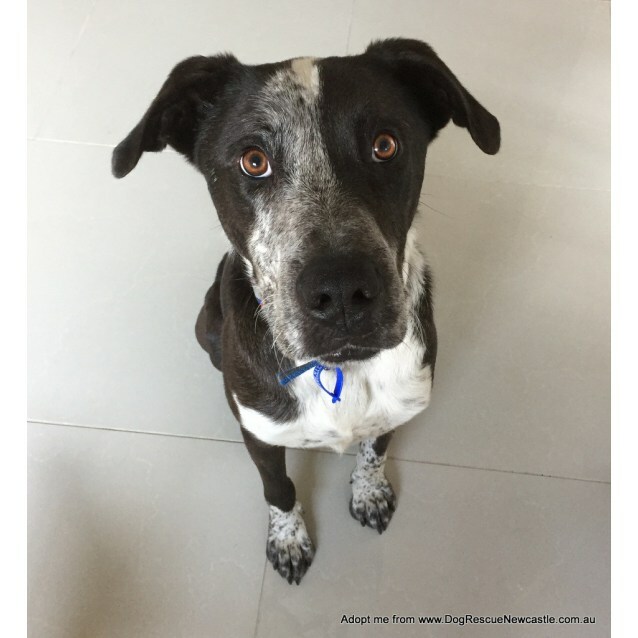 Jake is in the Lake Macquarie, NSW and is available for adoption interstate. Jake's adoption fee is $450 and he is desexed, vaccinated, treated for fleas and worms, microchipped, and lifetime registered.